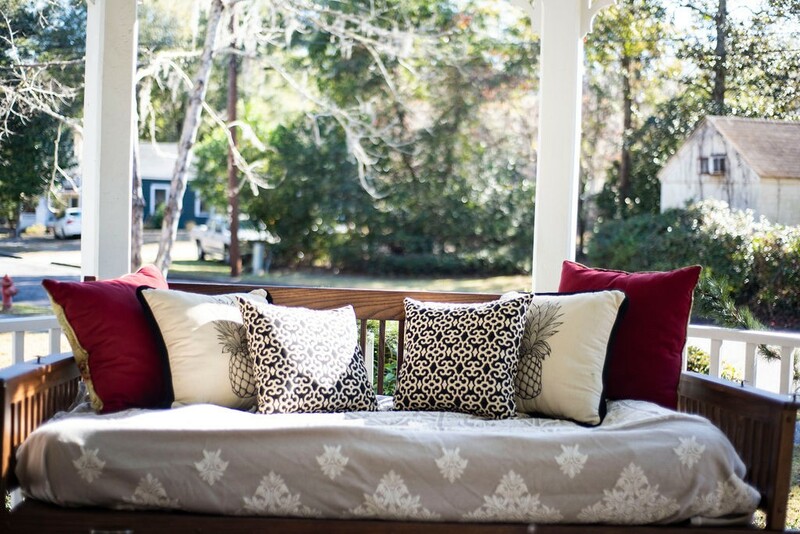 Michiel Perry from Black Southern Belle updated her front porch swing with an antique-inspired makeover, which is perfect for hosting friends and family at home. Read the blog to find out more! 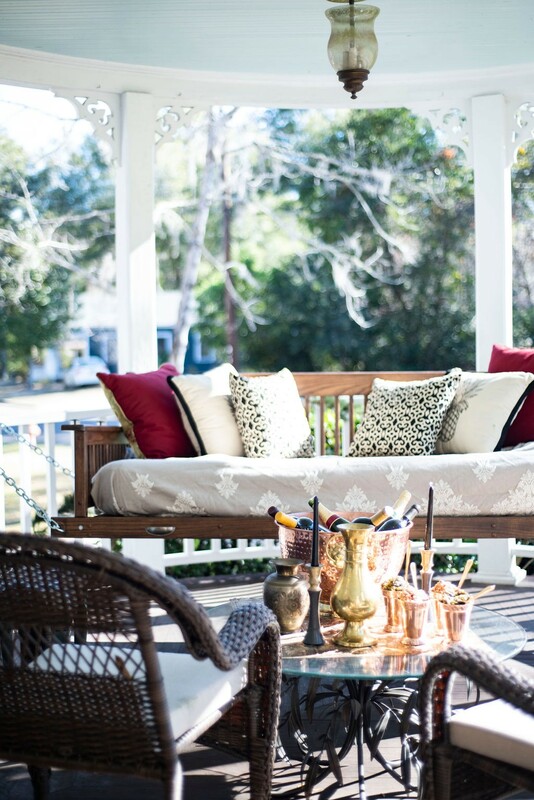 Southern living is all about the front porch. 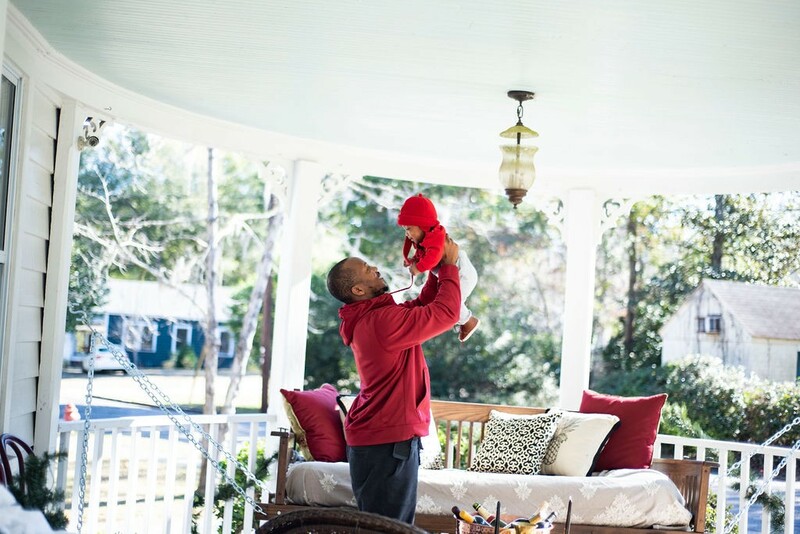 In any southern home, especially a historic home such as mine, a front porch swing is a great option for seating and a perfect place to create a gathering space for your family. 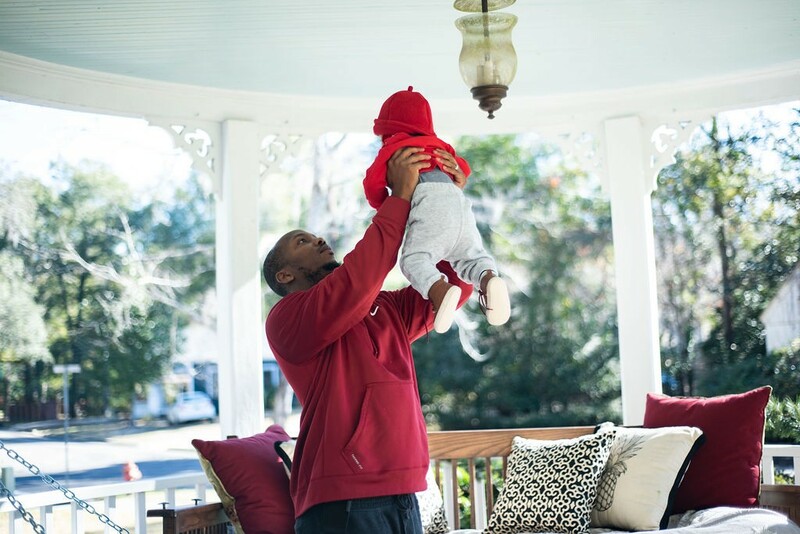 I partnered with The Home Depot to a create an antique-inspired front porch swing that I can use with my husband and new baby Jackson. 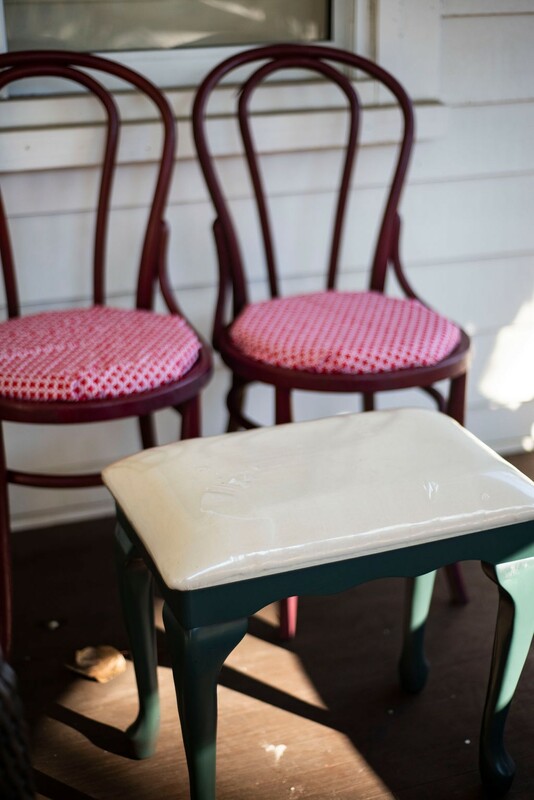 Are you looking to recreate your own DIY Front Porch Swing Party with some antique style? I have all the tips you need to get started with help from some great products at The Home Depot. I styled my Hinkle Chair Company 2-Person Daybed Wooden Porch Patio Swing with a mix of modern and antique style by using a thrifted vintage quilt with modern southern pillows from Home Depot including the Hampton Bay Black/Oatmeal Trellis Square Outdoor Throw Pillow I kept the color palette neutral so it is easy to dress it up for any holiday such as New Years, Christmas or event Easter. Using spray paint from Rust-Oleum is an any easy to add a unique look to your porch swing lounge. I used Rust-Oleum Stops Rust 12 oz. Protective Enamel Gloss Sunrise Red Spray Paint and for the side tables I used 12 oz. Hunter Green Gloss General Purpose Spray Paint. 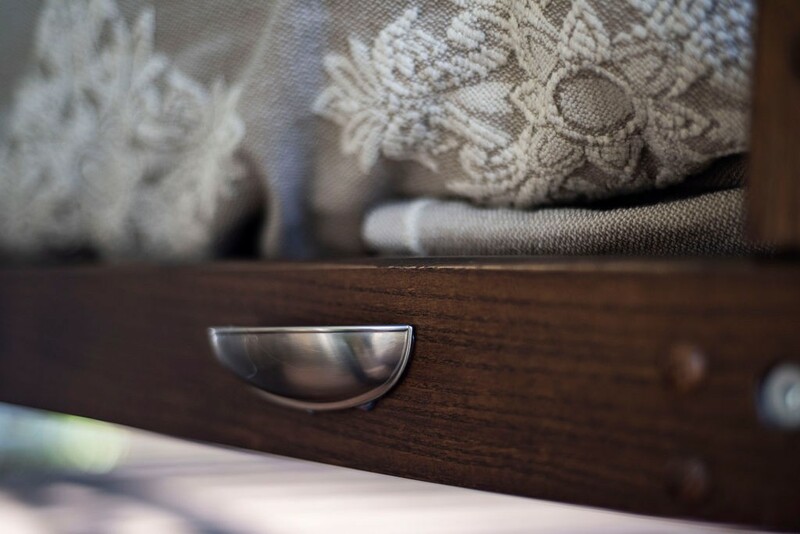 For a vintage style to my pre-made porch swing, I added antique metal accents with Liberty Antique Brass Weave Pattern Round Cabinet Knob and Satin Nickel Dual Mount Cup Drawer Pull. I wanted to continue with the antique theme throughout my front porch swing and used Great Lakes Tin Hamilton 2 ft. x 2 ft. Nail-up Tin Ceiling Tile in Argento to cover up blemishes on a thrifted glass table and it goes perfectly with my Old Dutch 5 gal. Decor Copper Lion’s Head Beverage Cooler. I also utilized some of my favorite New Year’s Eve Traditional Southern dishes in my favorite Old Dutch 12 oz. 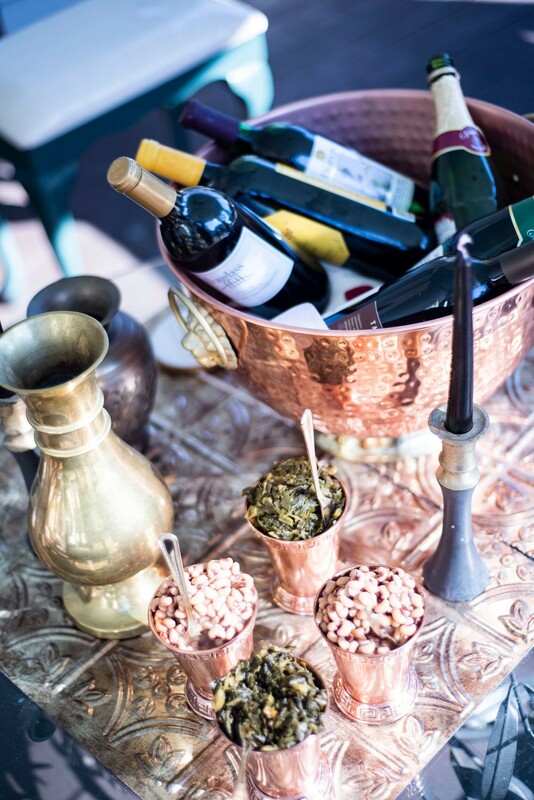 Mint Julep Cups in Solid Copper. Your swing should be the start of the party. Place your tables and chairs to anchor the swing. 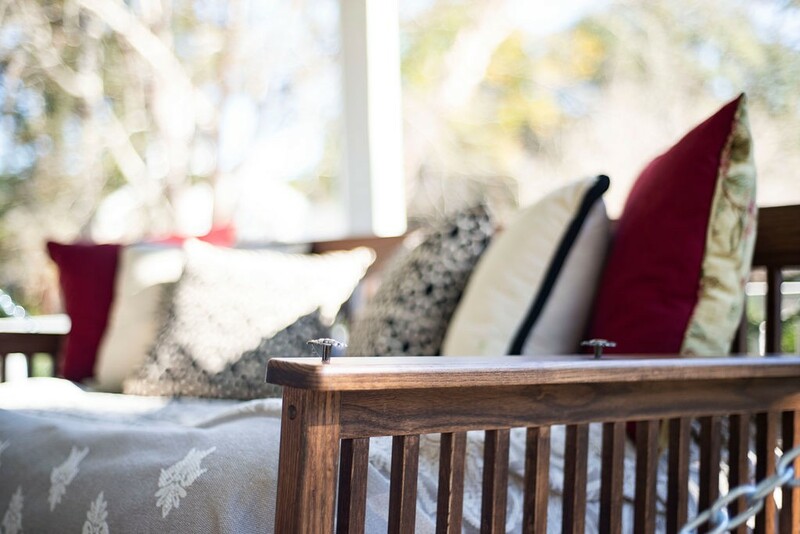 I can’t get enough of my Hinkle Chair Company 2-Person Daybed Wooden Porch Swing. Don’t forget the most important part about a great party lounge, spending quality time! My husband and son surely enjoyed themselves and we can’t wait to make more memories as he grows up. Check out more front porch and deck ideas on the blog. Find more outdoor living inspiration on our Backyard Ideas Pinterest board. 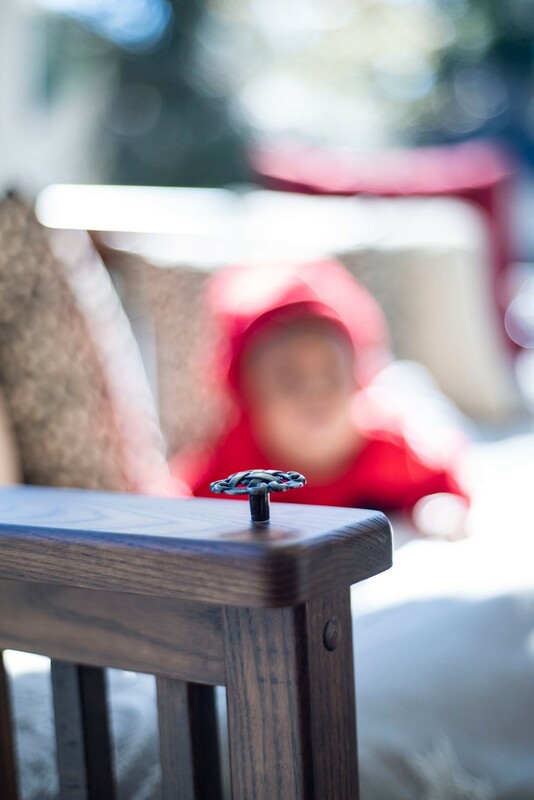 The post Front Porch Swing Update appeared first on The Home Depot Blog.